With its central location, Hotel Scialara is within easy reach of most tourist attractions and business addresses in Vieste. The Hotel Scialara boasts a convenient location with modern amenities in every guestroom and superb service. The guestrooms are equipped with balcony/terrace, shower, television. 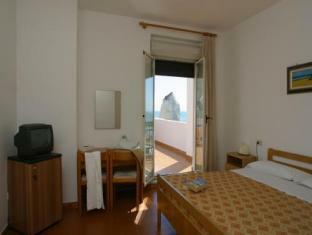 This Vieste accommodation contains all of the facilities and conveniences you would expect from a hotel in its class. To unwind, guests can enjoy the leisure facilities provided on the hotel's property, including garden. With elegant facilities and hospitality, guests at this hotel will surely have an impressive stay. To proceed with your reservation at the Hotel Scialara via our secure online booking form, please enter your period of stay.